• Stunning black knit John Deere polo shirt is made of a 65% polyester 35% cotton blend. • This is the perfect short sleeved polo shirt to wear to work on those casual Fridays to show your love of John Deere at work. 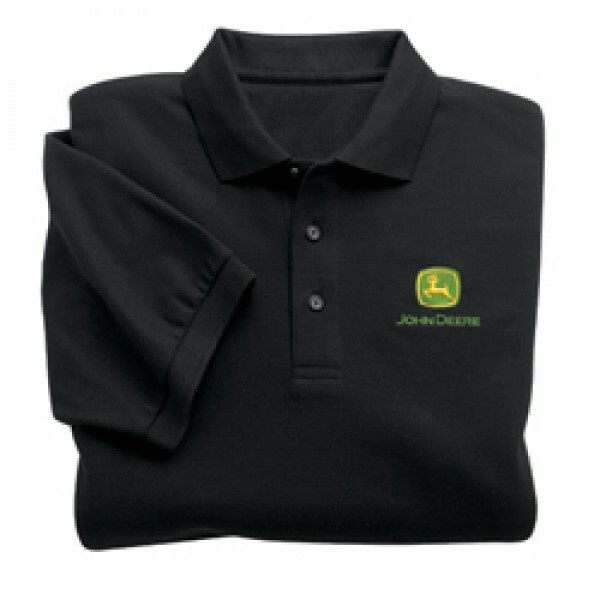 • This three button John Deere polo is embroidered with the John Deere logo on the left front chest. • Available in sizes M-2XL.